At around age four she developed freckles in her left eye – those turned out to be melanoma and in 2014 that eye was removed. She handled it like a champ and adjusted quickly, with little change in her routine. 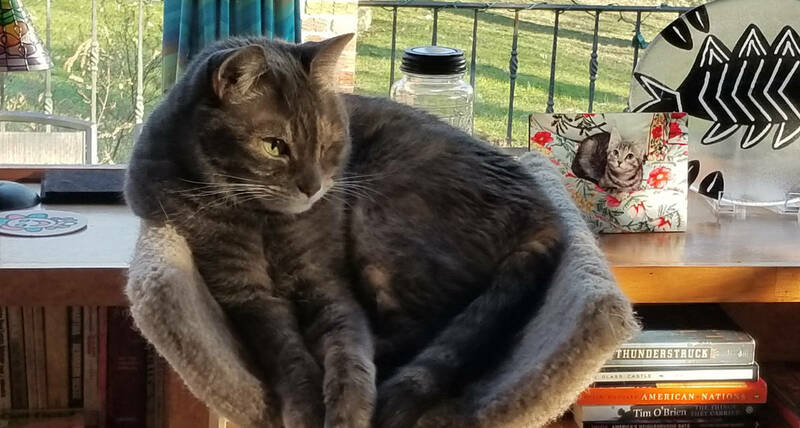 She has her favorite catnip mouse toys, and enjoys long sits by the window watching birds, squirrels and chipmunks on the patio. Abigail is very verbal, always speaking her mind to family and her friends from Sit-a-Pet (hi Mika!). She is particularly verbal around mealtime: She sings for her supper!